Sengataki is Karuizawa's largest resort district. 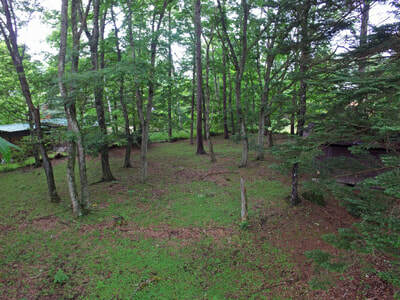 It is located in northwest of Naka-Karuizawa. It was originally developed by Seibu Group, and Seibu affiliated property management and water supply company well manages whole the area. Sengataki West (there are other East, Central, and Mountain districts) bacame famous internationally when having be rumored that Mr. Bill Gates was building his summer house here. Truth is uncertain, but you can confirm an unbelievably large house inside Sengataki West district in Google Earth. It should be anyway owned by billionaire. Though being located directly southeast of Mt. Asama, only a few locations in Sengataki West has great mountain view with flat construction area. This property is one of them. Just come and check this land. We bet you like it for having your special villa.